After our first ride of the new KTM RC 390, and with its launch in the offing (September 9 is the day) we can now pit it against its closest competitors in the sportsbike segment. As we've mentioned before, the RC 390 might not be everyone's cup of tea, but for those who do enjoy this particular flavour, there are options. So how do you decide what's best for you? We take a look at how the figures and numbers of the KTM RC 390 fare against the Kawasaki Ninja 300 that's currently reigning in this segment. 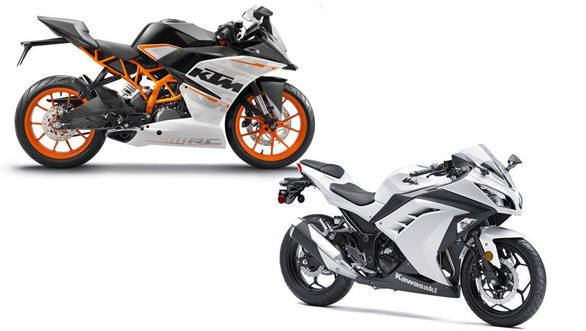 Should you buy the KTM or wait for the RC390?